The past few months have been an absolute blur. This is my busy time of year at work and mix that with a side of running, races, wedding planning and blogging - I have no time for myself. My favorite time of day is 5:30, when I pour myself a glass of wine and cook a fantastic dinner. I prefer to spend one hour plus in the kitchen, which is how I relieve stress. Not so much these days. I have found myself making quick fix recipes. 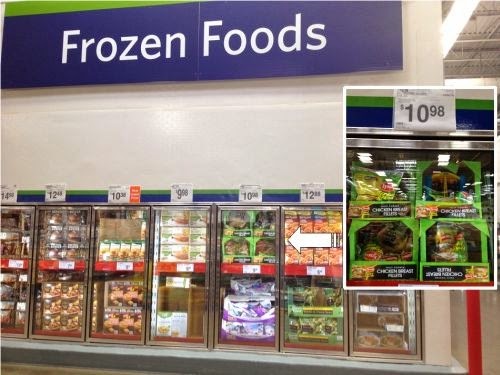 I was home last weekend visiting my Mom and we saw an in-store demonstration at the Daytona Beach Sam's Club for Tyson Gluten-Free Chicken Breast Fillets - a pre-grilled fully cooked boneless skinless breast. I was a bit skeptical at first and left highly impressed, with a bag in hand. My brother was diagnosed with Lyme disease a few years ago and one of his many Doctors instructed him to go on a Gluten Free diet during his treatment. My family had to find many learn about cooking Gluten Free options in the house. One of my favorite Gluten-Free recipes is a take on the cobb salad. When I make salads at home, I leave out bacon, cheese and other items which add on calories; you seriously do not miss those items. This salad is so delicious and easy to make. 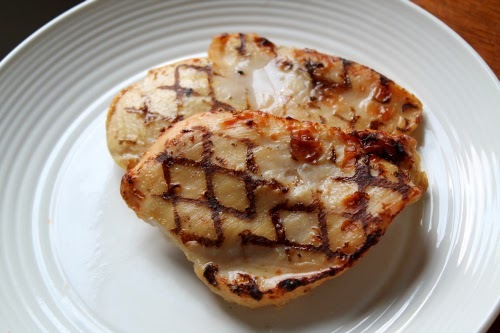 Using Tyson Grilled and Ready Gluten-Free Chicken breasts made it even easier. In less than 20 minutes, I had this delicious salad. I decided to warm my chicken up in the oven vs. microwaving it. The conventional oven instructions are at 375 for 18 minutes. *I decided to roast my corn and tomatoes at the same time while my chicken was heating up. Pull back the corn husk and remove the silk, remove the outer layers and pull back up to cover. Place directly on the oven rack for 30 minutes. If you want to check out Tyson Gluten-Free Chicken for yourself, Sam's Club has three upcoming #CookitGF in-store demonstrations on 4/4, 4/5/14 and 5/4/14. Both my Mom and I were very impressed with this product and it made for an easy, quick and delicious lunch. Love this salad! Great combination of vegetables and the beans - so yummy. That looks awesome! Nice arrangement!